Stoodleigh Court country house was built in 1881 by architect Ernest George who won a Royal Academy Gold Award for this design in 1885. The house was built for Thomas Carew and his family on the original site of Stoodleigh Manor. However, these early days are shrouded in mystery and rumours suggest that the house was often unoccupied. According to records, in 1885 Edwin Harris Dunning, a former dealer of diamonds and gold in South Africa bought the estate. A political campaigner on behalf of the Liberal party, Mr Dunning was elected Mayor of Tiverton and later knighted for ‘Public Services’. A bust of Sir Edwin Dunning remains present at Tiverton Town Hall today. During this time some original features of the house were altered, with mouldings and panelling added throughout the house. The local hunt regularly held meets in the grounds and parties were the norm – Stoodleigh Court positively thrived and hummed with life! The Dunnings later moved to Essex following the sale of Stoodleigh Court and its estate to Hugh Burdett Money-Coutts (later Lord Latymer) and his family. In 1908, the new family arrived to a welcoming crowd of Stoodleigh villagers. 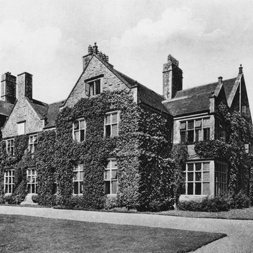 Ten years later, Stoodleigh Court was sold to racehorse breeder, Creyke Fairweather of Avisford Park, Sussex. And the estate changed hands again in the early 1920s, passing to Frank Shearman. Shearman bought some Royal Naval ships after the Great War, but, after failing in his attempt to start his own merchant fleet, he was declared bankrupt. On 4th September 1925, at the Rougemont Hotel in Exeter, Stoodleigh Court and its estate was broken up and sold off in separate lots at auction. The house itself was the last to be sold and was eventually acquired in 1928 by Ravenswood School whose premises in Paignton had become too small for the growing prep school. For 70 years, the house and grounds were home for generations of children, many of whom return to Stoodleigh today to relive happy memories of their school days. Despite being a very happy place, Ravenswood finally closed in 1992 when the recession took its toll and the school’s numbers had been reduced to less than a dozen boarders and only a handful of day pupils. Most of the school’s moveable assets were transferred to nearby prep school, St Aubyns, in Tiverton (now part of Blundell’s School). However, when the current owners took over the house in 1994, books remained in their desks, pictures and handwriting exercises were still pinned to the walls – giving a ghostly impression of the Marie Celeste. Extensive rescue work commenced and continues today as the owners carefully and sympathetically restore the house and grounds to their former glory. The functions that are held at Stoodleigh help to fund this meticulous restoration process to ensure that many people can continue to have the opportunity to visit such a wonderful house and setting. Research into the history of Stoodleigh Court is ongoing so please contact us if you have any information or pictures that will help to create a more detailed account of the families and people that have lived here. Click on the Ravenswood School link below for more historic photos of Stoodleigh Court.